In many ways, your mouth serves as a gateway to good health. Not only does a perfect smile improve your self-esteem—good dental care also helps make sure that you are able to eat healthy and nutritious food. 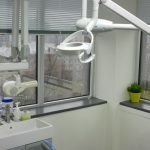 Your mouth requires ample attention and knowing what kind of dentist Brossard you should go to for the specific type of treatment that you require is a good start toward proper oral health care. Many people wonder if they truly need to see an orthodontist Brossard when their general dentist also offers braces—and often at a lower price than an orthodontic specialist. If you are serious about your oral health, consulting with the right specialist is something you should seriously consider, as they can provide you with a more effective and case-appropriate treatment than someone who has only had general training. Orthodontic treatment is a lot more involved than simply getting your teeth to move into a straight line. While getting braces does result in prettier, perfectly aligned teeth, an orthodontist Brossard is trained to detect as well as correct complex jaw and bite problems that are usually beyond the skills of a general dentist. Dentists that have undergone orthodontic training and specialization spend at least two or three years more of learning and training following their dental schooling proper to become experts when it comes to jaw issues, bone growth problems, malocclusions, biomechanics, craniofacial anatomy, and other special cases to arm them with the right knowledge and expertise should they be faced with complex cases. Even when your teeth alignment issues can be considered minor, choosing an orthodontic specialist is still more advisable as these experts will know the best approach to correcting your misalignments and ensure a faster treatment rather than long, drawn out, and painful adjustments. An orthodontist will make sure that you get the proper diagnosis and treatment plan to help correct your misalignments and malocclusions. Visit your dentist Brossard at Alpha Dental Clinic for sound advice on the best approach to your orthodontic treatment. 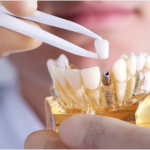 This dental office offers a wide range of dental services, including orthodontics and other specialties like dental implants, emergency dental care, and regular dental health care. A team of specialists provide attentive and professional care to every patient that walks through their door, giving each patient personalized services at the most convenient hours while ensuring reliable emergency services for those who require immediate relief or solution to their emergency dental cases.